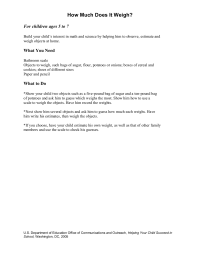 Build your child’s interest in math and science by helping him to observe, estimate, and weigh objects at home. Created by the U.S. Department of Education. 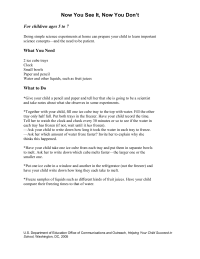 Teach children the basics of science with this at-home activity. Created by the U.S. Department of Education. 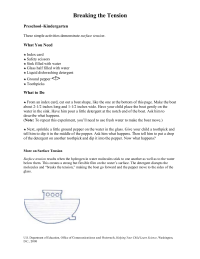 These simple activities demonstrate surface tension. Created by the U.S. Department of Education. 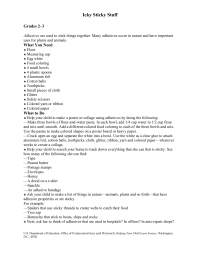 Learn about adhesives with these sticky activities. Created by the U.S. Department of Education. 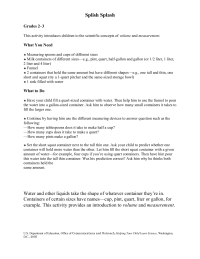 This activity introduces children to the scientific concepts of volume and measurement. Created by the U.S. Department of Education.